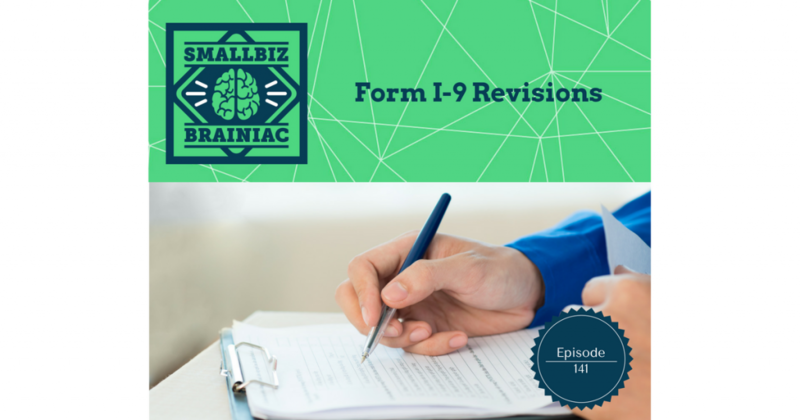 Even though Form I-9 revisions seem insignificant, failure to comply can result in fines. Today we’re going to focus on some changes that have recently been made to the Employment Eligibility Verification Form I-9 by the U.S Citizenship and Immigration Services. The Form I-9 has been in use since 1986 for the purpose of verifying the identity and work authorization of individuals hired for employment in the United States. This was all made possible by the passing of the Immigration Reform & Control Act. All U.S. employers must ensure proper completion of Form I-9 for each individual they hire for employment in the United States. This includes citizens and non-citizens. Both employees and employers must complete the form. An employee must attest to his or her employment authorization. The employee must also present their employer with acceptable documentation confirming their identity and authorization to be employed in the United States. The employer then must review the employment eligibility and identity documents presented to them by the employee to determine whether the documents appear to be authentic. The employer should then record the document information on the Form I-9. The list of acceptable documents is located on the last page of the form. The employee can present a single item from List A, or present one item from each of List B and List C. Employers must retain Form I-9 and make it available for inspection or audit by authorized government officials. Revisions to the Form I-9 is nothing new. The form has been modified numerous times over the years. These most recent revisions were just published this week so this information is hot off the press! Employers may continue to use the prior version of Form I-9 showing a version date of 11/14/16 N until September 17, 2017. After this date however, employers must start using the most recent version just released showing a date of 7/17/17 N.
There’s no need to wait until the last minute in September though. The new form is available now and you can get it by going to USCIS.gov and downloading the Form I-9. First, off let me just mention that here at SmallBiz Brainiac, we just love the topic of employment eligibility and the I-9. 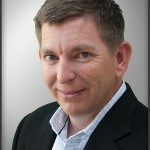 We love it so much that we have recorded numerous episodes previously regarding the Form I-9 process. Please don’t hesitate to go back and listen to episodes 31, 76, 120, 129 for more information about the I-9 process. The new form will modify the forms instructions to remove the phrase “the end of” when describing the day on which Form I-9 completion is required. It now reads: “Employees must complete and sign Section 1 of Form I-9 no later than the first day of employment” instead of reading “no later than the end of the first day of employment.” So there you can see that “the end of” has been removed. A revision to the name of The Office of Special Counsel for Immigration-Related Unfair Employment Practices. That name has been changed in the I-9 instructions to reflect the new name, Immigrant and Employee Rights Section. This change is found only in the 15 page Form I-9 instructions booklet and is not referenced in the 5 page Form I-9 itself. The List of Acceptable Documents for Form I-9 has been changed as well. The Consular Report of Birth Abroad, Form FS-240 has been added as a valid document under list C and is acceptable to confirm employment authorization. Employers completing Form I-9 on electronically will be able to select Form FS-240 from the drop-down menus available in List C of Section 2 and Section 3. Also, if you happen to utilize E-Verify, you will now be able to select Form FS-240 when creating a case for an employee who has presented this document as identification Form I-9. The newly revised Form I-9 combines all the certifications of report of birth issued by the Department of State, Form FS-545, Form DS-1350 and Form FS-240, into List C on Form I-9. All List C documents have been renumbered except for the Social Security card which is listed as number 1 on List C in the newest version, as it was in the last version. All other items still on List C will have a different number on the new version when compared to the old version. There you have it, just a handful of minor changes. Nothing earth-shattering to this most recent revision of the I-9. Again, just to re-iterate, although you will be able to use the previous Form I-9 through September 17, 2017 it makes sense to make the change now. Get rid of all those pre-printed old version forms and begin using the updated version today. The form is free and can be printed from the U.S. Citizenship and Immigration Services website by going to www.uscis.gov and searching for the Form I-9 link. Instruct your hiring managers and human resources department to download the new version of the form and start using it for all new hires going forward. Even though the changes to the Form I-9 may seem insignificant, failure to comply by the deadline in September can result in significant fines. Immigration and Customs Enforcement announced increases in the fines for Form I-9 violations last year so try to avoid the fines at all costs. These are great and formative news look forward to learn more and field test then in the challenging South Texas Rio Grande area where we do business! Victorio – Yes, that is a challenging market! Good luck and don’t hesitate to ask any questions. We love helping employers succeed!